Why Marquees Are a Vital Addition to Your Outdoor Wedding. 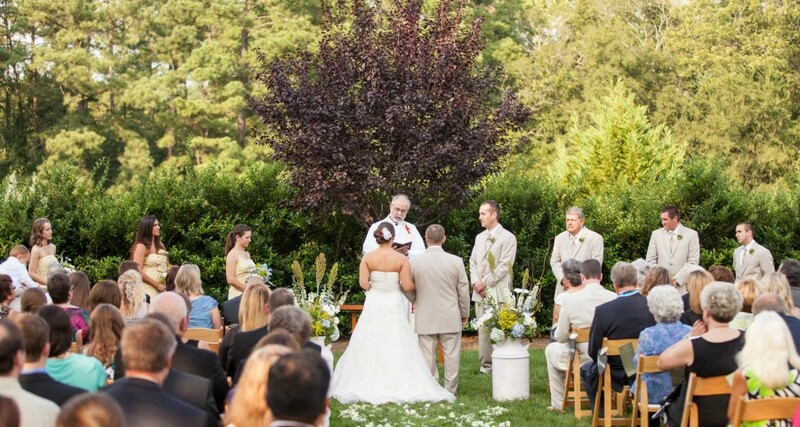 It’s finally time to plan your big day and you’ve always dreamed of having an outdoor wedding. But there’s something nagging in the back of your mind that your dream scenario might not be the best call. The niggling feeling is, rightly so, whether the weather will play ball on the day. From very strong sunshine to high winds or even an occasional rain shower, you can’t control the weather and you need to have peace of mind that it won’t seriously hamper your marriage celebrations. That’s where a marquee can, literally, save the day. Let’s take a closer look at how adding a marquee to your nuptials will make help your big day to go off without a hitch. As the old saying goes, “Happy is the bride that the sun shines on!” It goes without saying that no one wants a washed-out wedding day, however, if the weather simply doesn’t cooperate on your special day, then you just have to grin and bear it. All the planning and preparation in the world won’t help if the day of your outdoor wedding is a washout and there’s nowhere for your guests to take shelter. If you’ve always wanted to have an outdoor wedding in winter, you’ll be glad you have the option of moving everything inside to a marquee. That means that the weather is one less thing to stress out about when planning your big day. One of the best advantages of choosing a marquee for an outdoor wedding is that you’re not limited in terms of the number of guests. Whether you’re having a large wedding with 300+ guests or a smaller more intimate wedding there are marquees to suit every layout and capacity. This leaves you free to create a guest list that is unrestricted by venue number limits, minimums or maximums. A huge advantage of a marquee is that it comes as a blank canvas, leaving you complete creative control in terms of decor. As you’re not constrained by a venue’s existing decor, you can decorate the marquee to fit in with your colour scheme and you can create your own unique atmosphere with imaginative lighting schemes like hanging lanterns and fairy lights. Some marquees even come with clear sides and roofs so you can maintain the outdoorsy feeling while still providing your guests with shelter. When it comes to choosing a marquee, there are so many styles to choose from. Everything from contemporary tents like yurts or teepees to traditional white wedding tents and even smaller gazebos are available. Premium marquee hire companies even offer the option of hiring tables and chairs, added flooring for dancing, staging for a band, lighting features, heating systems, extra decorations and even dinnerware and glassware directly from them. You have complete control to choose how much is taken care of for you or of course you’re free to source all these items yourself – the choice is yours. When planning an outdoor wedding, a marquee is a vital component. A marquee provides a stylish canopy and offers shelter from bad weather conditions as well as providing shade from the harsh Aussie sun. Whether you choose to hold every element of your wedding inside the marquee or simply your ceremony or reception, a marquee provides huge flexibility and you can relax safe in the knowledge that the weather won’t ruin your big day.